At WestBow Press, a division of Thomas Nelson, we help authors self-publish all genres of books, but we specialize in books with Christian morals, inspirational themes and family values. If you have goals of commercial success or simply desire to create a book for friends and family, WestBow Press can help you create the book you envision. We understand that your dreams are unique. 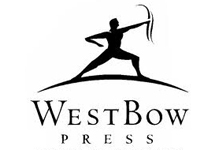 Even if your ultimate goal is to publish traditionally, WestBow Press can be your foot in the door. As a division of Thomas Nelson, our titles are actively monitored by our parent company to identify those books that show promise and strength in the marketplace.